123-reg VPS are available with the following amazing features that ensure maximum performance and reliability. With a 123-reg VPS you know your hosting is in good hands and can give you the performance you need for your internet presence. 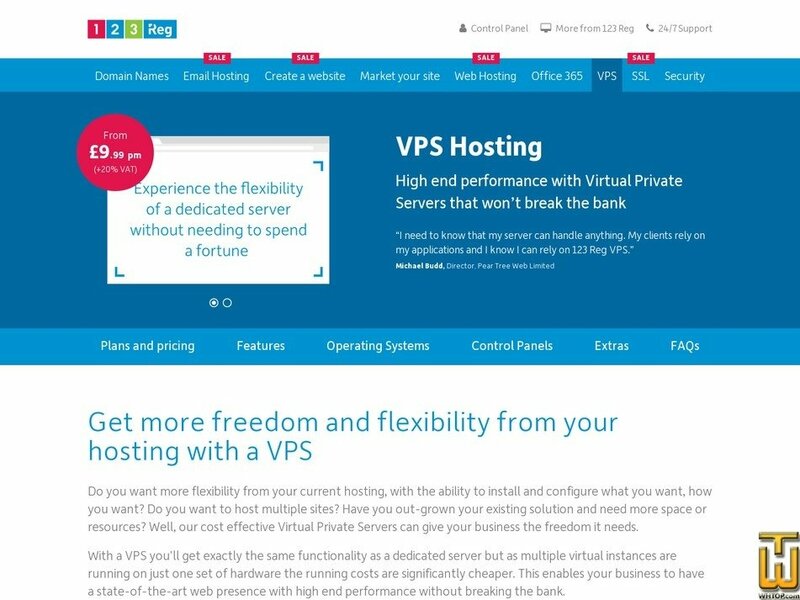 Available with Linux and Microsoft OS options, Plesk is designed to help you administer your VPS in a fast, simplified and efficient way from any internet browser..
Our unmanaged virtual servers offer a cost effective way for you to run your own server just the way that you like with full root/administrator level access.